Business Insider/Mary HanburyMattress Firm’s large fleet of stores has come under scrutiny in recent years. Mattress Firm has filed for Chapter 11 bankruptcy protection, it said in a press release Friday. 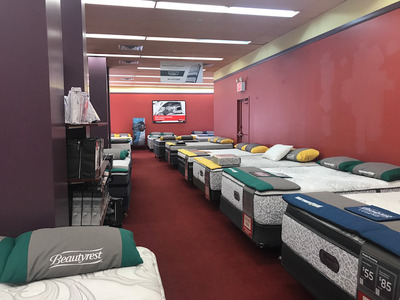 It is the largest specialty mattress retailer in the United States, with 3,272 stores, according to Wedbush analyst Seth Basham. Mattress Firm has increasingly come under pressure as startups such as Casper innovate the experience of mattress shopping and take market share. Last October, Mattress Firm filed a lawsuit against two former employees, a broker, and a group of developers accusing them of conspiring to push the company to aggressively expand. With an estimated 3,272 stores, according to Wedbush analyst Seth Basham, it is the largest specialty mattress retailer in the US and has increasingly come under pressure as startups such as Casper innovate the experience of mattress shopping and take market share. Mattress Firm has been struggling under a heavy debt load. It owes the mattress producer Serta Simmons, its largest creditor, just over $US90 million, according to the bankruptcy filing. As part of its bankruptcy restructuring, Mattress Firm could close as many as 700 stores, the company said. Two hundred stores are expected to close in the next few days. Reports that the mattress retailer was considering filing for bankruptcy surfaced in August.